Great looking P.O.P. grabs attention and sales, that’s why marketers and advertisers spend so much effort on their Point Of Purchase displays. So when you’re looking to get information out to your target market, go for the cardboard brochure holder that enhances your literature and adds appeal to your offering. 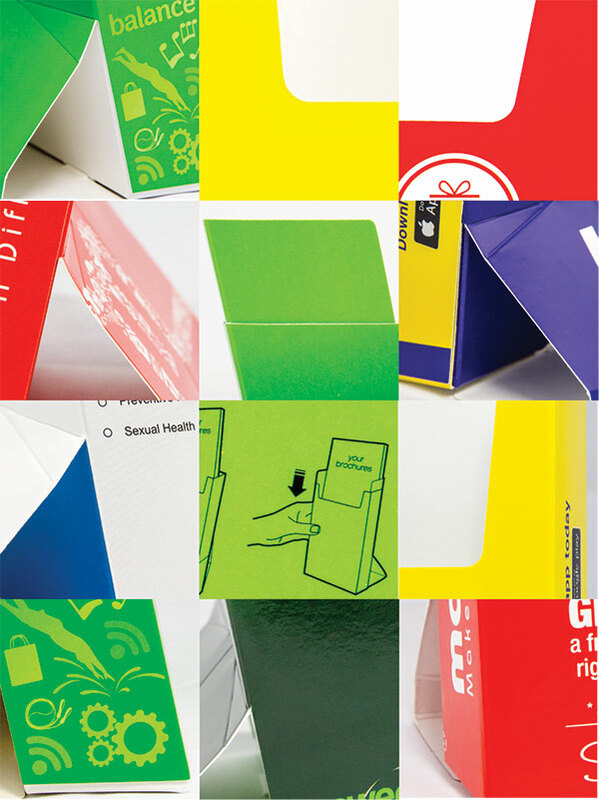 We print EZIPOP cardboard brochure holders in full CMYK colour, then coat with a high gloss UV varnish for the best surface protection and appearance. Want more P.O.P. appeal? Try special colours, metallics or some of the many other finishes we've got available. Ready for some great looking EZIPOPs grabbing attention for you and your product or service?